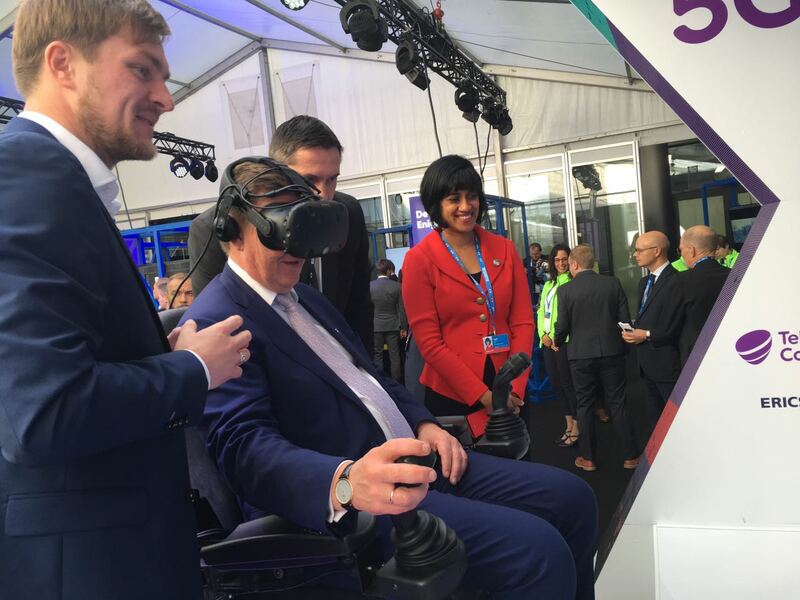 EU Digital Summit – Tallinn, Estonia, Sept. 29, 2017 – Telia is deploying the first public 5G live network use cases in Europe in collaboration with Ericsson and Intel. 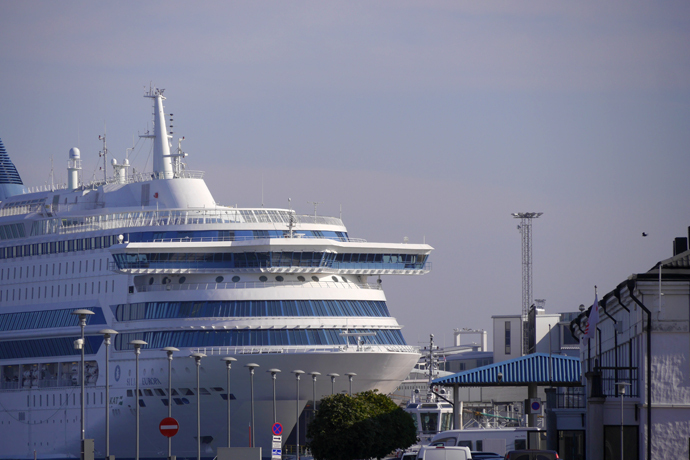 This includes a high-speed 5G connection to a commercial passenger cruise ship delivering internet connectivity to the ship and its passengers while in port, and an industrial use case featuring a construction excavator remotely controlled with a live 5G network. The move is an important milestone in the global 5G roadmap, moving Ericsson, Intel and Telia, and more importantly Telia customers, closer to the goal of bringing 5G services to life in 2018 in both Tallinn and Stockholm, two of the world’s most digitalized cities. Deploying early 5G solutions in real-world settings is vital for the industry to learn how the various technologies integrate into different types of businesses, in what types of environments it performs best, and the interoperability between systems across the network, cloud and devices. Telia and Ericsson announced a joint roadmap in 2016 that aims to let Telia customers experience 5G services in 2018 in Tallinn and Stockholm. Now in collaboration with Intel, early examples of these services have been brought to life in these use cases for consumers and businesses. The “real life” 5G environment for Tallink was created at the Port of Tallinn to test and explore how the new mobile technology can provide higher data connection speeds and improved quality. During the test in September 2017, 5G technology was deployed for the whole ship while it was in harbor. The technology enabled Wi-Fi usage for 2,000 passengers and the ship’s own information and communications technology systems. This is a first example of many uses that 5G will provide access to in transport situations, as well as very broad gigabit wireless services delivered to consumers. 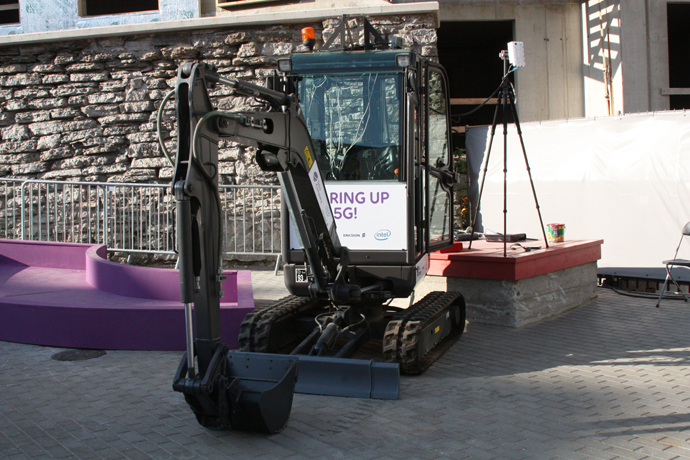 Gearing up for 5G, the participants in the EU Digital Summit taking place today in Tallinn have a unique opportunity to experience what it feels like to remotely control machinery – in this case an industrial excavator – via an augmented reality remote control operated over an ultrafast live 5G link with very low latency. This shows how a machine operator can work with 5G remote controlled excavators in hazardous environments, from the comfort and safety of an office environment. This highlights the capabilities and opportunities 5G will bring to harsh or dangerous industrial settings. The solution stack underpinning the cases in Estonia consists of technologies from Ericsson and Intel. 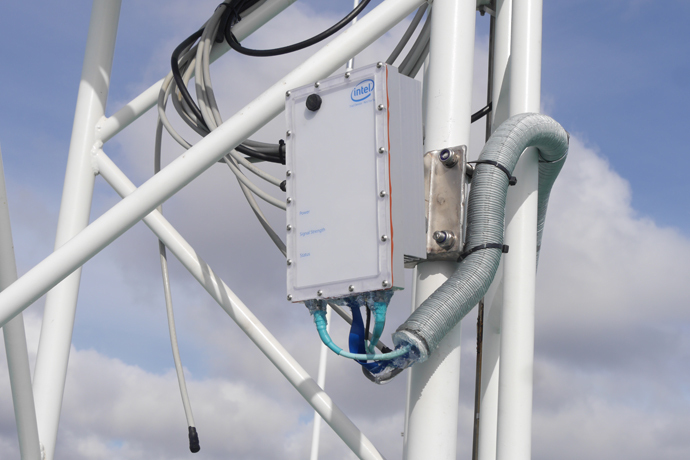 An Ericsson 5G base station consisting of 5G antenna, radio and baseband, in conjunction with the Intel® 5G Mobile Trial Platform – provides millimeter wave and extends the Telia mobile network to 5G. We’re Telia Company, the New Generation Telco. Our 21,000 talented colleagues serve millions of customers every day in one of the world’s most connected regions. With a strong connectivity base, we’re the hub in the digital ecosystem, empowering people, companies and societies to stay in touch with everything that matters 24/7/365 – on their terms. Headquartered in Stockholm, the heart of innovation and technology, we’re set to change the industry and bring the world even closer for our customers. Read more at www.teliacompany.com. Ericsson is a world leader in communications technology and services with headquarters in Stockholm. Our organization consists of more than 111,000 experts who provide customers in 180 countries with innovative solutions and services. Together we are building a more connected future where anyone and any industry is empowered to reach their full potential. Net sales in 2016 were SEK 222.6 billion ($24.5 billion). The Ericsson stock is listed on Nasdaq Stockholm and on NASDAQ in New York. Read more at www.ericsson.com.